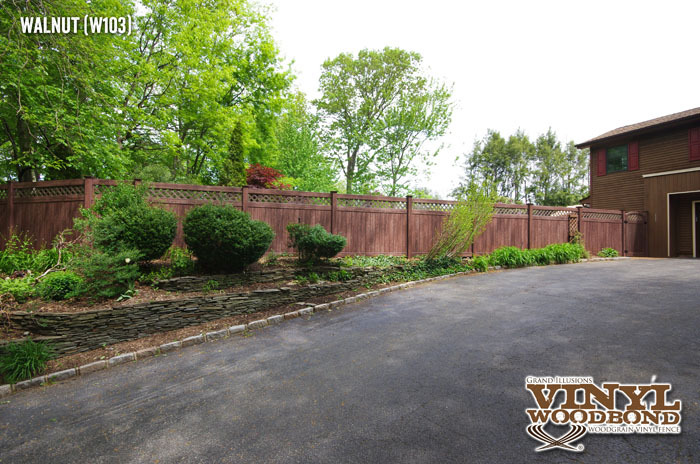 It is amazing how the atmosphere of a yard can be transformed by simply adding a great fence. Here we have what was already a beautiful outdoor living space turned into a harmonious getaway in the privacy of this homeowners own backyard. They chose the perfect wood grain to create an ambiance of relaxed and peaceful, yet fun and entertaining. 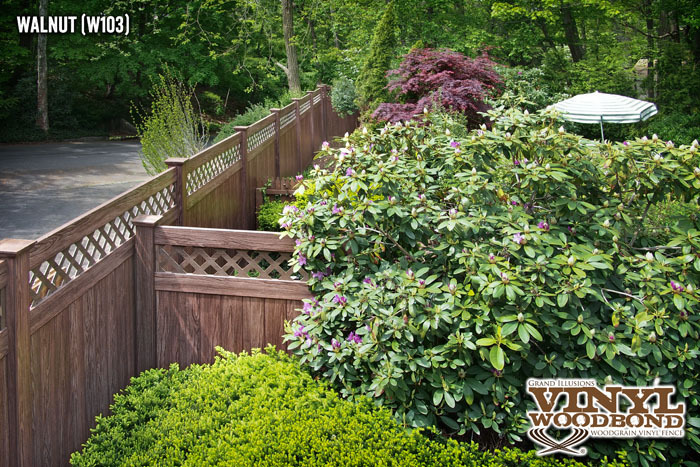 The Grand Illusions Vinyl WoodBond Walnut vinyl woodgrain fencing panels pics show how this amazing fence blends in beautifully with the lush green background, red Japanese Maple accents, pink tulips, and even the home itself. 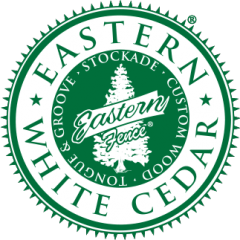 The natural colors meld together to form a vision that can only be described as classic. 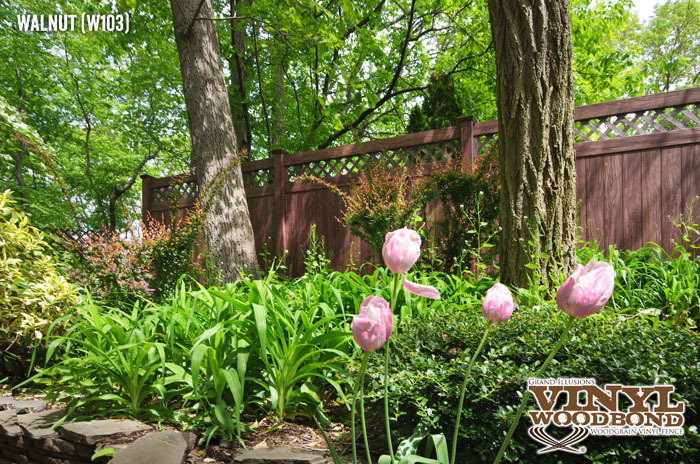 The possibilities are endless when it comes to backyard design. 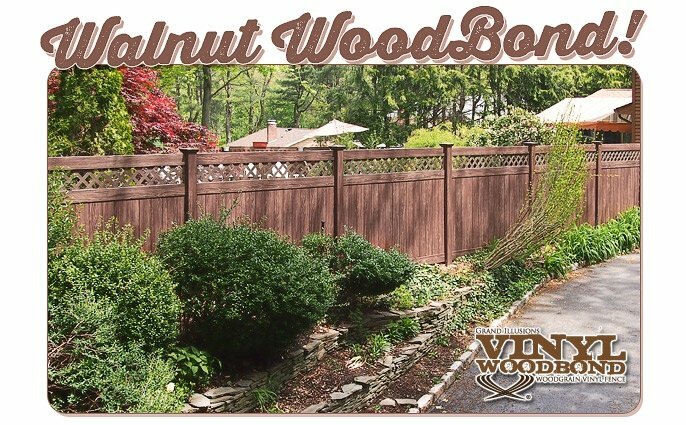 Whether you need to get away without getting away, entertain your friends all summer, or sit inside by a cozy fire looking out over your beautiful landscape during those cold winter nights, these woodgrain pvc fencing panels will look great all year round. 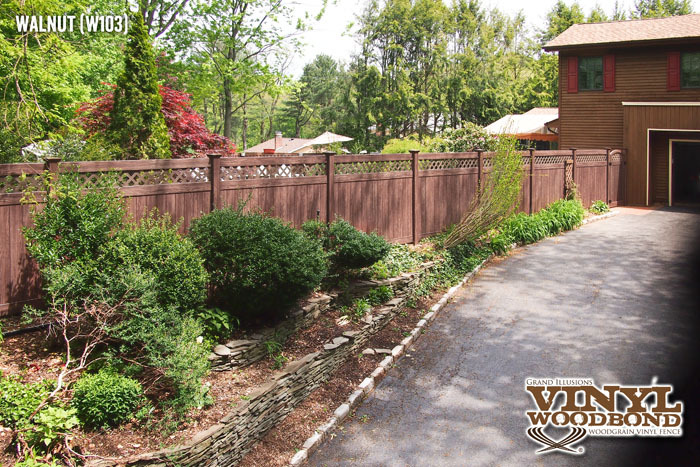 They are the perfect color fence complement to both the house accents and the foliage. 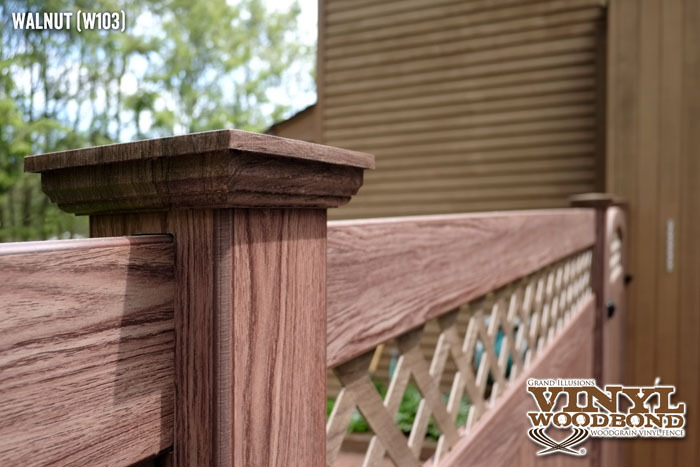 If you really think about it, thanks to the Grand Illusions Color Spectrum and the authentic Grand Illusions Vinyl WoodBond woodgrains, there are literally millions of possible size, color, and style variations. 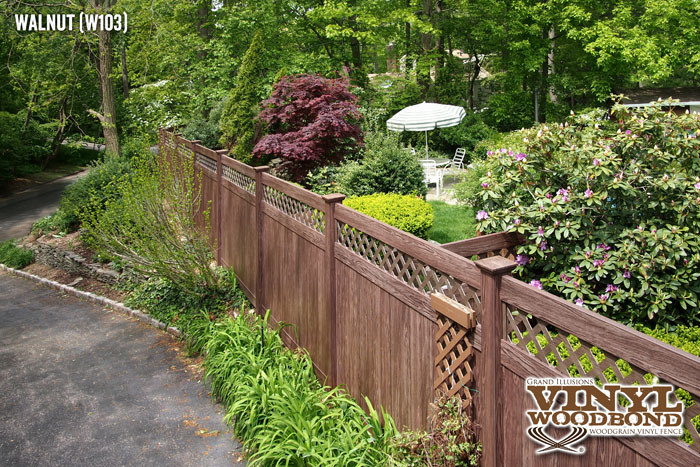 Feel free to create your own custom color and woodgrain fencing combinations using the Illusions Fence Design Center.